San Antonio, Texas is famous for many things including the River Walk, the Spurs NBA team and the Tower of the Americas. However, undoubtedly the most famous of all attractions is the Alamo, renowned as the location for the Battle of the Alamo in 1836. Did you also know that San Antonio is home to four other key Spanish Colonial settlements (missions) in addition to the Alamo? I will openly admit that I had no prior knowledge of these missions before our trip to San Antonio. These four actually make up the San Antonio Missions National Historic Park, while the Alamo is not actually part of this and instead operated by the Daughters of the Republic of Texas. 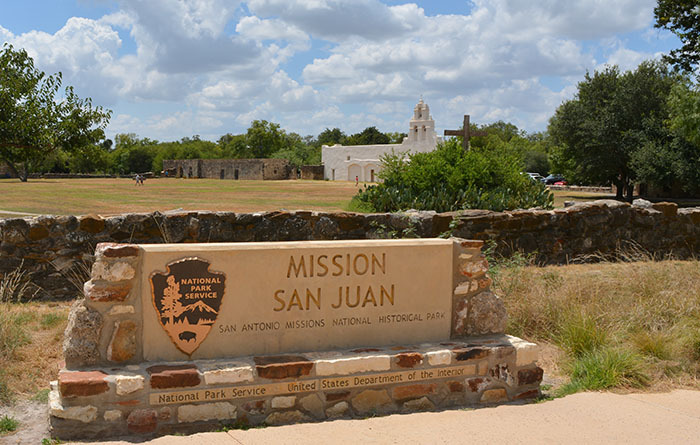 After researching things to do, we decided to take the San Antonio Mission Trail and visit each of the five missions along the way. 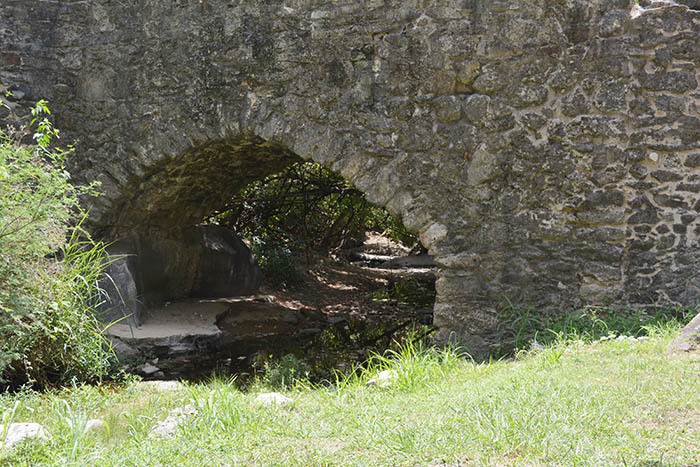 If you have time, I would highly encourage you to take the trail along the river and experience some hidden parts of San Antonio that even we didn’t see given we drove to each of the mission sites. This chain of five missions encompassed the largest concentration of Catholic missions in North America during the 18th century. 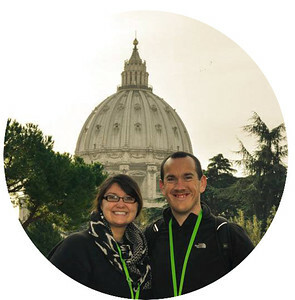 The basic idea behind these missions was to expand the Spanish communities (Spanish New World) from Mexico. 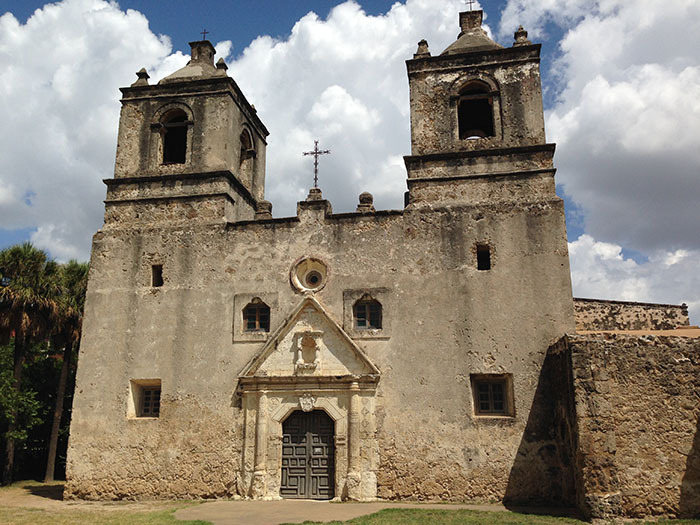 These settlements flourished until the demise of the Alamo in 1836 and to this day are still a prevalent part of the Catholic parish and open to the public. We started out on our Mission Tour at the best known of the missions, the Mission San José. Established in 1720, San José y San Miguel de Aguayo was an iconic mission organization and a major social center for the Hispanic Catholic community. Given that we really didn’t know what to expect when visiting the Mission Trail, this was a real eye-opener but encouraged us to continue on our trail as we wanted to see more. Being able to walk inside some of the original buildings was really cool to learn about how these types of communities thrived in the 18th century. It was also interesting to see the San José church having an active service on a Sunday morning. 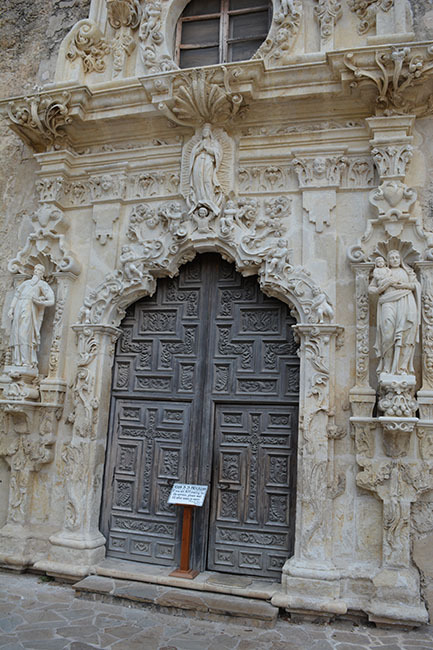 There are clearly still a lot of passionate and loyal members of this community which helps maintain the presence of San José in Old San Antonio. 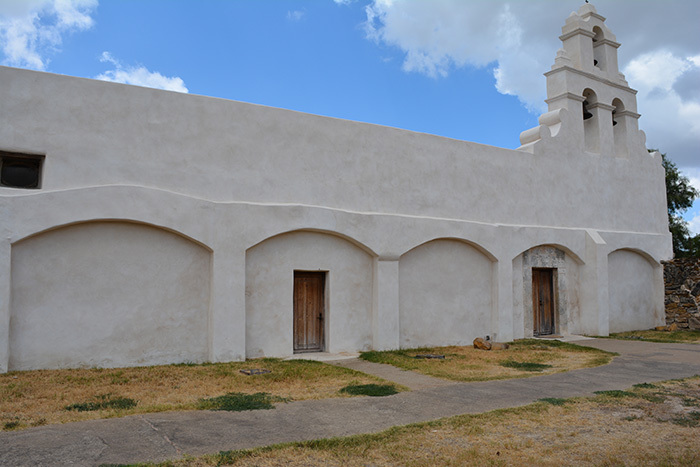 The intricate details of the church architecture is impressive and the restoration of these buildings is a crucial aspect to preserving the history of the Missions. After a great opening experience at Mission San José, we headed south to the first of two smaller missions – San Juan Capistrano. Despite the clear difference in size, you can still see the sense of community here with the quaint, well-designed church (also still remains an active Catholic parish) and remains of other buildings still apparent. The original colonial ‘square’ is still in place and standing there overlooking the surrounding courtyard walls really gives you a sense of history as you imagine the Spanish locals going about their daily lives. A short drive from San Juan Capistrano is the Mission San Francsico de la Espada or Mission Espada for short! 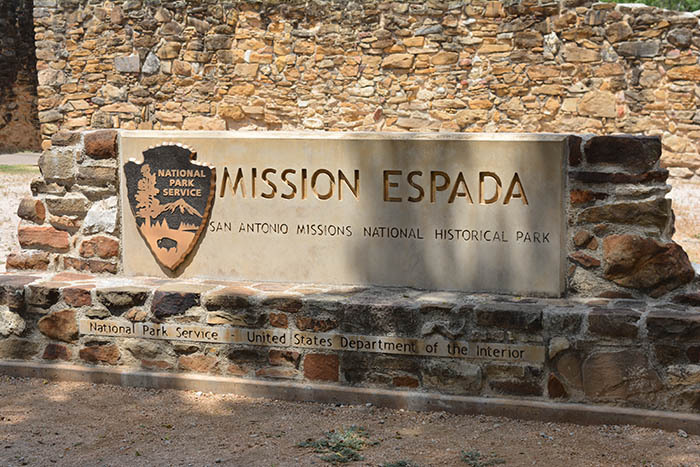 En route to this mission we were able to stop at the Espada Aqueduct which is the only remaining Spanish aqueduct in the United States. The primary purpose of this small aqueduct was to channel water for irrigation purposes to the surrounding mission lands. Today it is a great spot for people to relax and even consider having a picnic here while overlooking the aqueduct. 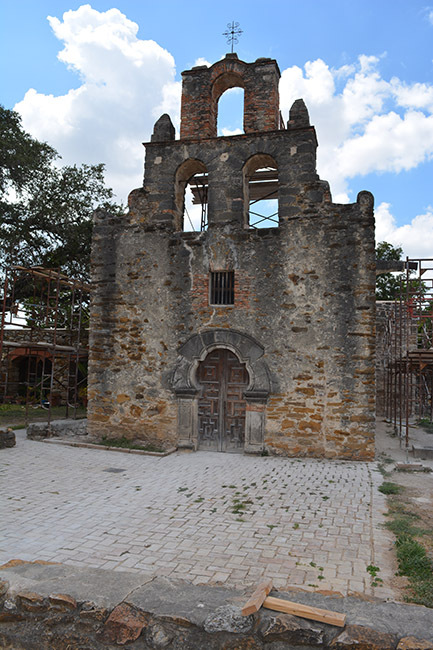 As we crossed the interstate towards the actual location of Mission Espada, we were disappointed to see that much of the church here was under renovation. I realize that in order to maintain these 18th century missions, such renovation is required but it certainly makes them less aesthetically appealing when walking around the grounds. Venturing north from Mission Espada we headed to Mission Concepción which I have to admit was probably my favorite of all the missions. The gorgeous design of the church here was really spectacular and the whole feeling of this settlement, again despite being fairly small in comparison to San José was positive. As you make your way around each of these missions, some of them have visitor centers with additional information on the missions. 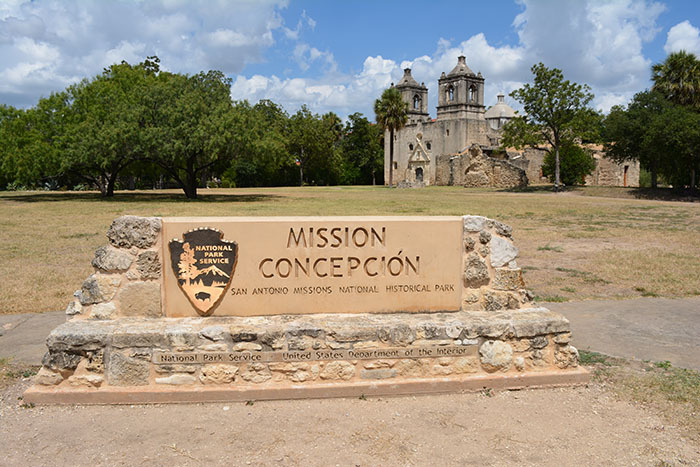 Mission Concepción has a small center that is self-guided but offers visitors the opportunity to stamp your mission passport (if you have one) or anything else you may have handy to mark your experiences along the trail. Walking around the church through all of the small rooms and the courtyard was a really great experience but this was also the first mission church we were actually able to go inside. The meticulous details of the interior was the first aspect we noticed and although we didn’t spend too much time here, we were able to get a good sense of how the local congregation still enjoys this historic setting. 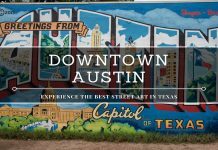 Heading downtown from Mission Concepción is a different experience altogether and I have to admit that I was a little disappointed by the whole Alamo experience. Out of the five we visited, it was clearly the most tourist driven and everything was catered towards this which is disappointing and really spoils the traditional authenticity of this location. 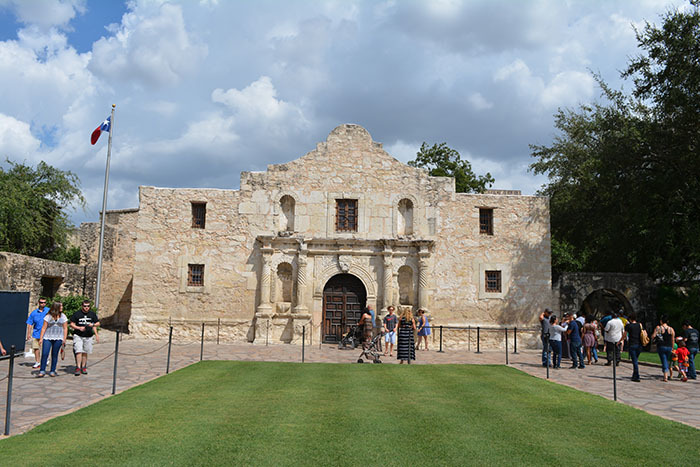 Clearly the Alamo is a historic landmark in San Antonio, but lining up outside in order to get your picture taken is a little too touristy for my liking. Unfortunately no photography is allowed inside the Alamo church though you can take as many as you like around the grounds. Learning about the history of the Battle of the Alamo is interesting but I can’t imagine spending as much time here as I would with some of the other Missions that we visited previously. 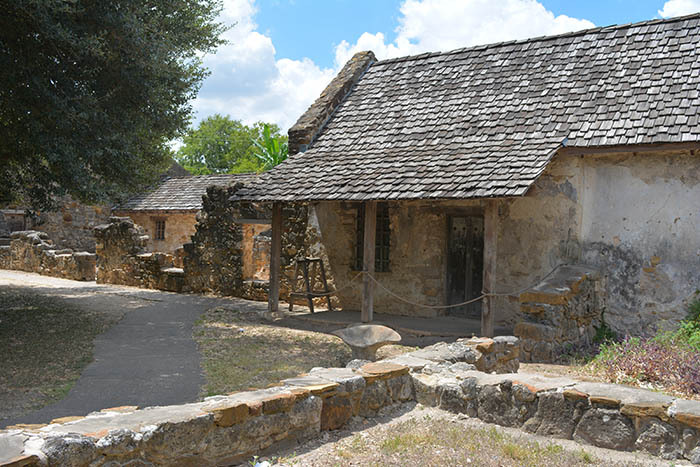 Our tour of the San Antonio Mission Trail was cool, rewarding and ultimately an experience we would highly recommend to anyone regardless of your interest in Hispanic heritage. We learned an abundance of knowledge simply from being on the grounds of these mission settlements and I look forward to hopefully seeing more of these around the States in the future. The Spanish influence is very evident on Gran Canaria where we live. The capital was founded by the triumphant Spanish invasion force in 1478. What’s more, Las Palmas de Gran Canaria is a sister city of San Antonio. Thanks for sharing this. I had never heard of the mission trail before, and I didn’t know the alamo was part of it. What an interesting piece of history, and I love the style of the churches. Being raised Catholic, I am used to seeing a pretty standard church, but those have such style and Texas flair, I love it! This sounds like such a great tour – I love opportunities like this that are such a great way to learn history. I learned a lot just reading your post! I hadn’t heard of the mission trail before either. I cannot wait to visit Texas. 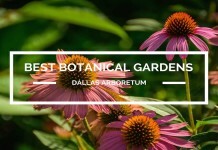 Great post with a lot of history! This sounds a fascinating tour and so different from the norm. The church buildings, especially the San Jose church, look quite lovely. Would love to visit one day. Its nice to see historical landmarks that are very well taken care of. That gives the people in this time to get a chance to get a glimpse of the history and learn about it thru these heritage. A nice read! Thank you for sharing this. 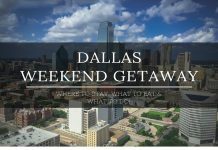 Something to look forward to in Texas! Sounds like a really interesting tour. Must confess, I don’t know about the hisotry here but your insights have captured my interest. Some beautiful buildings in your pics! 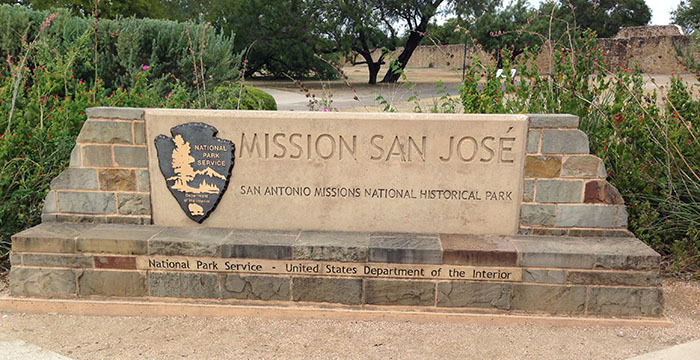 I ‘ve heard about Mission San Jose. It looks like a wonderful tour with some interesting history. Will have to check it out next time we are in San Jose.